Hip hop, now one of the most mainstream music genres, was born during the 1970’s in New York. What was once a cultural movement has now transformed to become commercialized. Known as “The Bridge,” the Queensbridge housing projects in Queens, New York, was the largest public housing projects in the United States and was also home to many notorious rappers. In between the ’70s and today, in 1994, one rapper transformed hip hop — Nas. Born Nasir bin Olu Dara Jones, as a child he grew up in Brooklyn, New York. He and his family eventually moved to the Queensbridge projects where his neighbor would introduce him to hip hop. After soaking up rap icons like Public Enemy, Rakim, Ice Cube and others, soon enough Nas was spitting verses, too. After his parents divorced, he dropped out of eighth grade, which ultimately gave him more time to write. Years later in 1994 he dropped his album, Illmatic, which became one of the most influential hip hop albums of all time. He was only 20. But as Nas spit rhymes about the struggles in his community, Bill Clinton signed the Violent Crime bill which further enhanced the trails in which Nas talked about. The 1994 Violent Crime and Law Enforcement Act is the largest crime bill in history. This bill was a key part to filling up prisons, according to NPR. The problem with the bill is that it did not help fix the communities inside Queensbridge, but instead added more punishments and policing. One hundred thousand police were added to the force, and $9.7 billion in funding for prisons and $6.1 billion in funding for prevention programs. The prevention programs were not made by the suffering citizens but instead tenured police. A three strikes rule was implemented, which resulted in a lifetime in jail for repeat offenders of punitive crimes such as marijuana. Nas was the bridge between the outside world, which enforced the crime bill, and subsidized housing, which felt the effect of the bill the most. When making Illmatic, he was well aware of its importance. 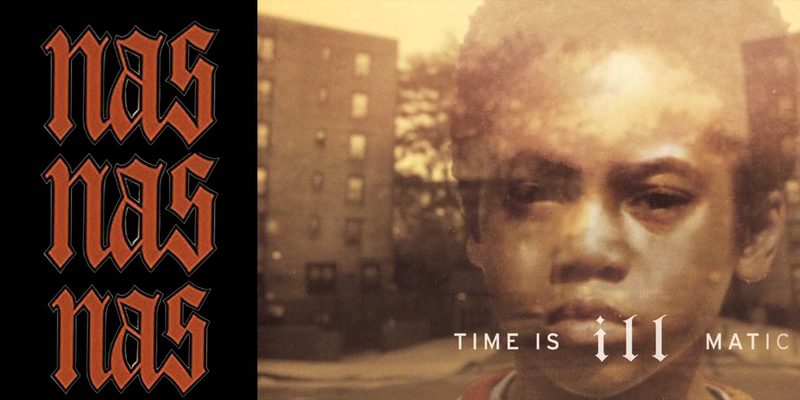 Illmatic’s intro song, “The Genesis,” starts with the sounds of a train. Queensbridge is the only public housing to have a train stop named after it. Next, listeners hear a clip from the 1983 movie Wild Style. The dialogue goes, “There ain’t nothing out here for you. Oh, yes there is. This.” Nas uses this quote as a cinematic way to reflect the mindset and reality of living in subsidized housing — it’s hard to get out. According to Ta-Nehisi Coates, author and former national correspondent for The Atlantic, “poor Black people do not work their way out of the ghetto — and those who do often face the horror of watching their children and grandchildren tumble back.” The average resident of Queensbridge stays there for an average of 18 years. Some families stay for decades. Nas was one to make it out. The second track, “NY State of Mind,” is one is his most famous songs. Currently his second most-streamed song on Spotify and his most-viewed song on Genius Lyrics, Nas discusses how kids in Queensbridge have no choice but to hustle and dream of a life more fulfilling. Nas told Rolling Stone that this song is, “Of my favorites, because that one painted a picture of the City like nobody else. I’m about eighteen when I’m saying that rhyme. I worked on that first album all my life, up until I was twenty.” In “NY State of Mind,” he emphasizes his and the the others struggles in his community and that they had no choice but to hustle in order to survive. Illmatic influenced the next generation of rap. The cinematic words still prevail and tell the life of an inner city Black man as the outside world continues to become more politically polarized. Clinton has since come forward and said that his crime bill was a mistake — yet it still affects people of color disproportionately at an alarming rate. Nas’ Illmatic is a window for the outside world to look in on what it is like to live for Black people in Queensbridge. Header by Natalie Wade, 14 East.